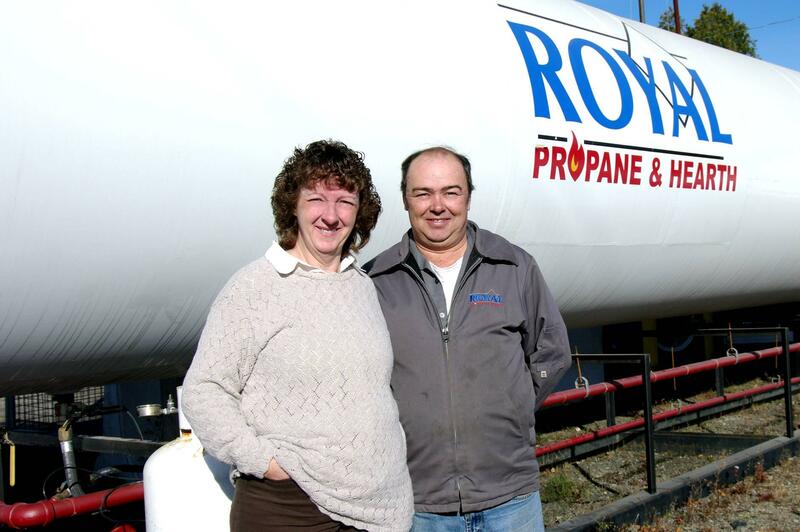 A lot has changed for Royal Propane since its roots as a two-person operation. The company now employs 10 people from the Digby area, including the Bent’s two grown children, their partners and even a nephew. “It’s a family affair to be sure,” says Susan. She likes working with the other members of her family. “You can say and do stuff to them that you couldn’t to somebody else,” she jokes. During the summer months, the number of employees at Royal Propane doubles because of the surge in demand for propane during barbeque season. The Bent’s journey into propane stared 16 years ago when a national propane distributor wanted to get out of the local market. The company offered David, a longtime employee, the option of retaining his old job on a contract basis. “At the time, we would have preferred employment, but we took the chance anyway,” says Susan. Within months, Susan quit her job as a waitress and began working for the company full-time. Shortly after that, the couple moved their company out of their home, bought a commercial location, and hired a full-time propane technician. The company distributes propane to residential and commercial customers throughout Nova Scotia, and also offers a propane tank exchange program. But with eight trucks and close to a dozen employees, the successful firm is bursting at the seams. “Where we’re at, we’ve outgrown,” says Susan. Plans are in the works to move the operation to the industrial park in Digby within a couple of years. It will allow the firm to have greater storage capacity and take on more business, thus allowing the business to grow and hire more employees. Susan praises the help of the Digby-Clare CBDC in growing the business, in particular, executive director Julie MacLean. “You couldn’t ask for somebody better than Julie MacLean in there,” she says. “I know if I picked up the phone and there was any possible way she could help, she’d be there,” adds Susan. Between 2005 and 2006, the CBDC provided $150,000 in loans to Royal Propane, which the company used to help pay for a sandblasting machine and a second bulk truck. “Without it, we wouldn’t have been able to expand,” says Susan. She also credits the CBDC for the advice it has given for when the company moves locations, such as whether it makes more sense to buy a building or build one from scratch.